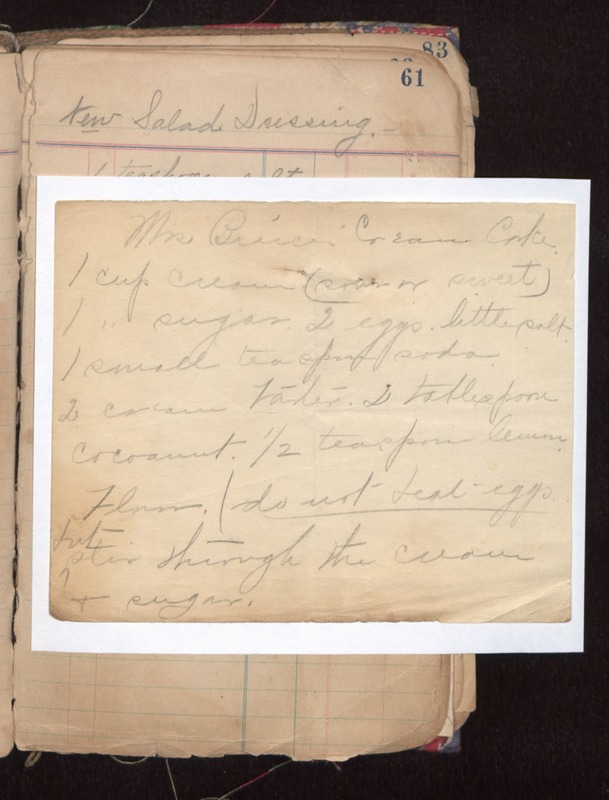 Mrs [illegible] Cream Cake. 1 cup cream (sour or sweet) 1 " sugar, 2 eggs, little salt, 1 small teaspoon soda, 2 cream tarter, 2 tablespoon cocoanut, 1/2 teaspoon lemon Flour. (do not beat eggs. but stir through the cream & sugar.